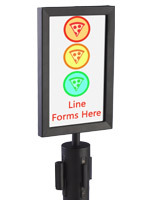 Need a great way to control crowds, create service lines and block access to certain areas? 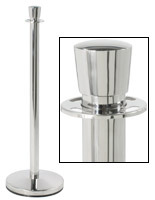 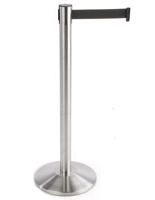 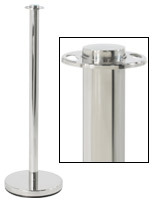 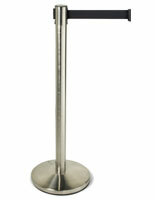 These are our best selling stanchions and each style has its own construction and finish. 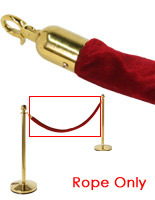 This type of post can support either ropes or belts; the former is more "upscale" and is made from velvet or nylon, while the latter features a more modern, straightforward design. 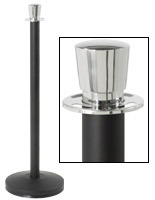 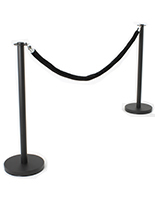 Included in this category are individual stanchions, sets of two posts, and accessories such as sign holders. 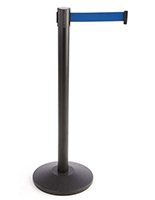 Each unit is made of metal and has a weighted base, but they are all light enough to be moved by one person without difficulty. 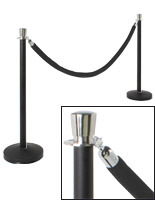 The queue poles' neutral finish makes them an excellent choice for any location. 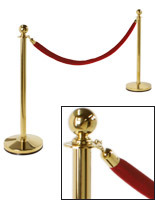 One specific option is the classic brass and red velvet style often favored by hotels and upscale restaurants. 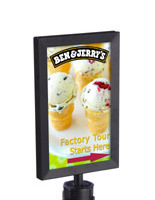 Also available here are sign frames that can inform customers about offers, new services, or simply where the waiting line starts. 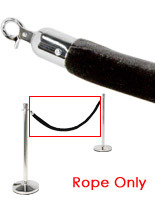 Other options include posts in silver, black and gold, with belts and ropes that can come in red, blue, black, green and many more. 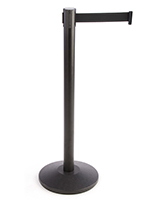 In addition, users will also find more choices in accessories, including bowls, literature pockets, wall mounts and even replacement belts. 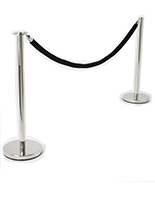 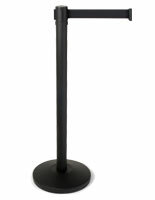 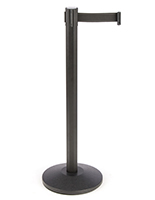 Stanchions like these make ideal barricade fixtures and are often found in a number of locations, such as hotels, banks, theaters, lobbies, airports, museums and more! Many businesses, from financial institutions to coffee shops, invest in posts like these because they organize patrons and direct them to certain areas. 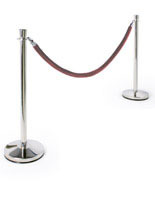 Cafés often use crowd control systems like these to create dining areas that are separate from the sidewalk or service line. 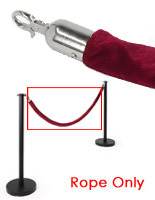 Other users of these barricades include galleries and museums for simply protecting valuable artifacts and works of art by creating an attractive barrier. 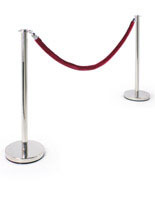 Looking for another type of stanchion? 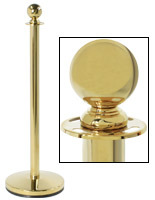 This website features many other models in a variety of finishes and designs, all sold at wholesale prices with fast shipping. 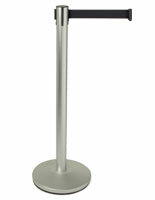 For time sensitive needs, we also offer same day shipping for an even faster delivery. 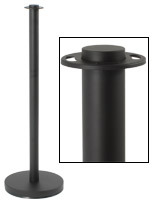 Our bulk wholesale pricing makes is ideal for any business that needs a crowd control fixture!